Electric motorcycles (e-bikes) are gaining popularity in India off late due to steady rise in petroleum fuels and environmental issues. Due to their many advantages, e-bikes are given priority and many companies are coming up with the latest green technologies in the automotive sector. India is becoming a hub for e-bike manufacturing companies, with localized technologies to meet the Indian roads. Electric bikes are driven by a brushless DC electric motor (BLDC) powered by a rechargeable battery, charger and a controller, unlike the internal combustion engines that burn liquid fuel to drive their engines. The main highlight of these vehicles is no fossil fuel is consumed to drive them. They are subjected to less maintenance since they have very few moving parts. When compared to the conventional fuel bikes, these e-bikes are reliable, efficient and are environmentally friendly too. With a speed of just 20-40 kilometers per hour, they are exempted from road tax and other regulations, and require no license to operate. These vehicles are pocket friendly as well, with most of them costing around INR20,000-30,000. These bikes can be handled with ease by any age group. The total cost of ownership is as low as one third as compared to a regular fuel bike on Indian roads. However, we must consider their disadvantages before purchasing these vehicles. 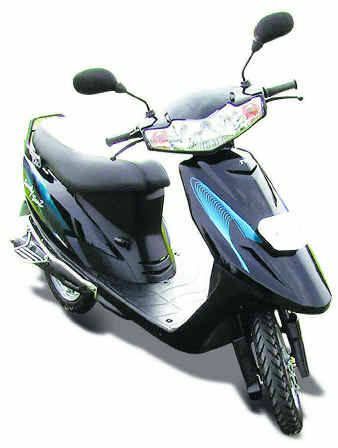 Hero Electric is the leading e-bike manufacturing company in India. 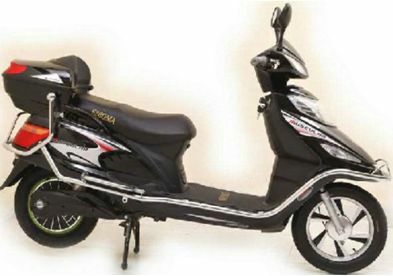 The company provides 8 models that are below 100CC in India. Hero Electric has also introduced innovative technologies such as range extender, charging stations, personal charger, etc. 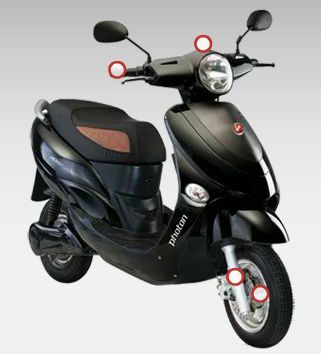 Its bike is equipped with 250W BLDC motor that has a speed limit of 25kmph and can travel for 70 km/charge. The vehicle is equipped with a battery of 20AH, 40V, which requires 6-8 hours charging. Hero Electric Zippy is the cheapest model, whereas Hero Electric Photon is the most expensive one. The price ranges from INR19,250 to INR42,500. The company also provides door-step service to its customers. BSA Motors are the south Indian manufacturers of cycles and its accessories, who have moved into the e-bike segment as well. Their vehicle is powered with 250W BLDC motor. With a price from INR27,760, BSA Motors has been listed as one among the top e-bike brands. It has a mileage of 55 km per charge. With 8 Amp load, it can be ride for about 2.5 hours. The battery is of 22AH and is both lockable and removable. This enables one to charge the battery inside the home and fix it later with the vehicle. However, the replacement of battery is quite costly at around INR10,500. Further, the vehicle must be well protected during rainy season, as it can affect the speedometer and other devices attached. TVS Motors, the leading brand in two-wheeler manufacturing, also has e-bike production. With not much promotion, TVS has gained popularity among the public mainly backed by its efficiency and quality. The company offers good service and has a green approach towards its product manufacturing. The e-bike comes with sealed lead acid battery with 48V, 20AH. 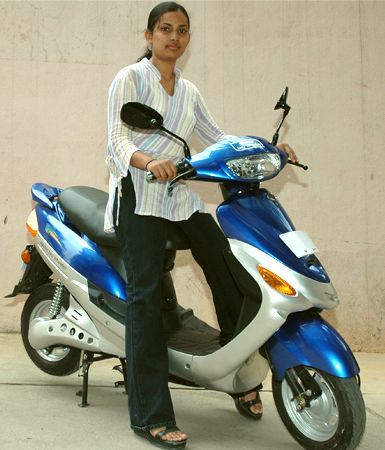 The bike has a speed limit of 40kmph and rides for 50 km/charge. The company is expected to release its new hybrid model of e-bike soon. 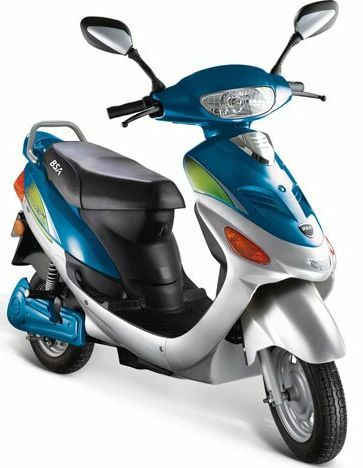 Although the model is expensive, around INR65,000, it can be either used with petrol or electric. This is a small Bangalore-based e-bike company. They have two models in their stable and also offer charging stations across the city. Their e-bikes come with an affordable price tag of INR21,000 and INR23,000 with a speed limit of 55-60 kmph. The bike uses 800W BLDC motor. It can cover a range of 55-60kms on a single charge and comes with a range of colors. However, the brand and its service are only available for the city residents. The battery is of 20AH capacity and gets charged in 60V. The pay load capacity is 130 kg. Indus Yo Bikes are another established e-bike brand. It is the first Indian vehicle to be approved by ARAI. It has four models which weigh around 75 kg. Two models are of high speed and the other two are low speed. The bike is powered by permanent BLDC motors and their cost is around INR36,500. It gives a mileage of 45km and comes with one-year warranty for both the vehicle and its battery. The battery is of sealed maintenance-free VRLA type. It boasts of powerful permanent BLDC motor with an easy accelerator grip. Enigma Intense offers three models in the market and the price starts from INR28,500. They come with many features including anti-theft alarm, cruise control, motor lock system and lightening system (48V) along with multiple charger socket. They are powered with BLDC motors. They have a range of 50 km per charge and have a speed of 25kmph. The bike’s battery is of 25AH capacity and can be charged from 6-8 hours. The battery is maintenance free, VRLA, gel type and requires 12V. It also features a front telescopic suspension. Image courtesy – panfilocastaldi.wordpress.com/This North American company has so far launched three e-bikes: Uno models – BPG UNO I, II, and III, with a price tag of INR40,000 and above. 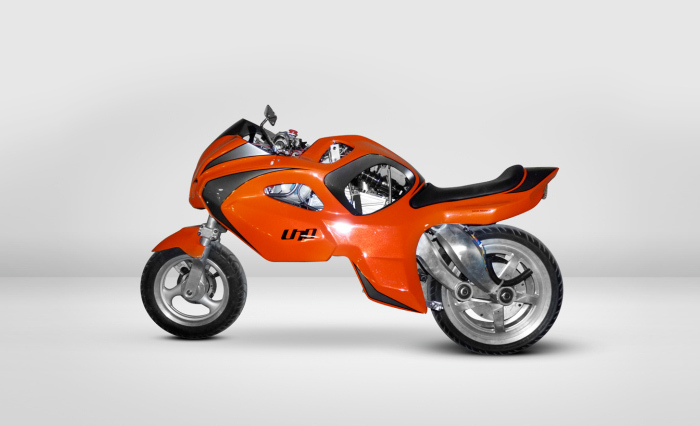 This bike will turn into a unicycle during low speed and turns to be a Uno at high speed. This makes the bike more unique and compact to drive. It has all the advantages of a motorcycle during high speed. 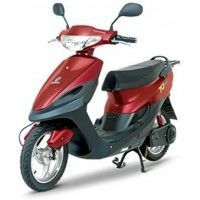 The e-bike has the configurations of a normal motor cycle and can balance in both high and low speed easily especially during heavy traffic. It boasts a speed limit of 48.3 kmph. Informative and nice, electric bikes have the potential to become the alternate option for petrol bikes though I love bicycles the most. Bikes are good But the original battery are not available in market. Great list you got there. Biking has proven to be a major source of fun and fitness for the past few decades. Electric powered bikes are getting really popular nowadays as you can go longer rides with it compared to regular bicycles and it is more economical than cars.